The icon passed away this weekend. He was 69. This morning, news broke that David Bowie had passed away at the age of 69, after a battle with cancer. He released his final album Blackstar just last week. In the wake of his death, musicians, writers, and artists from all over the world have taken to social media to show how he influenced them—we're updating this post throughout the day as more tributes flood in. We are deeply saddened by the loss of David Bowie. It was an honor and a privilege to release his music to the world. So much love to @DavidBowieReal 's family right now. what a great loss. One of the reasons why I always had The courage to change my names in reinvent myself was because of David Bowie. He lived so many different lives. And he did his way. David Bowie God bless you. Rest in peace! What a honor, what a soul. David Bowie, Spirit of Gold. RIP. 🙏🏼😔 Spent a substantial time studying and learning this great mans music at school. Mr. Bowie.. Us and planet Earth will miss you. 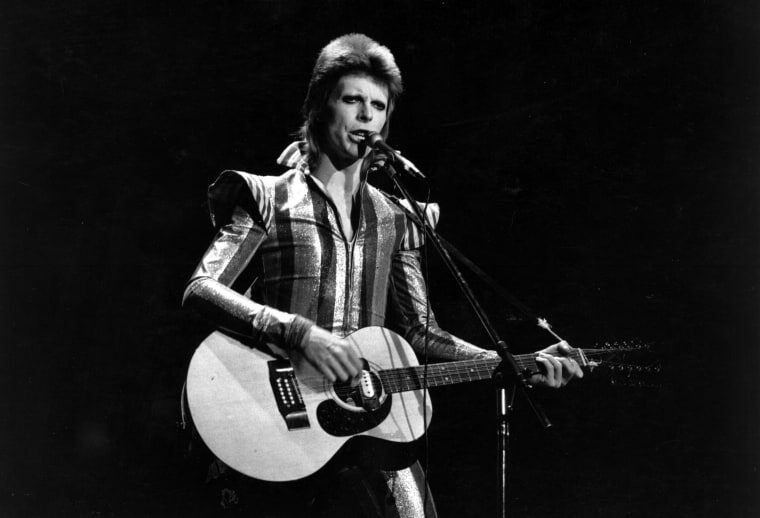 Bowie existed so all of us misfits learned that an oddity was a precious thing. he changed the world forever. #LEGEND You are ONE kind! My favourite ever Bowie image, 'Diamond Dogs' era. An endlessly weird, creative and inspiring boundary-pusher until the final act.